Canada has a banking network which was set up for the purpose of exchanging electronic financial transactions. It is called Interac and it is one of the leading payment systems in the country. If you’re not from Canada, then you might think that this payment method is similar to online banking systems in other countries, like Giropay in Germany, iDeal in The Netherlands, or Bancontact in Belgium. But Interac is actually a lot more versatile than that. It has been around since 1984 and it actually serves as a widely used debit card system. There are around sixty-thousand ATMs in Canada which can be accessed through Interac, and, of course, there are also hundreds of thousands of merchant-locations which accept these types of payments. As a matter of fact, you can use one of these debit cards with virtually any ABM in the country, while you can also get cash withdrawals from many other types of financial institutions, because of Shared Cash Dispensing (SCD). But if you want to play at an online casino while using Interac as a depositing method, then you’re probably not interested in ATMs or merchant shops. 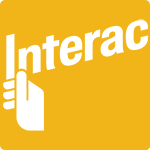 What you want to know more about is a different feature of this payment method, which is simply called Interac Online. This will let you make payments on the internet which are made directly from your bank account. In all fairness, this actually works quite similarly to online banking methods in other countries: Simply log into your account at your favourite online casino, go to the deposit page and select Interac as your preferred option. Then select your financial institution’s logo to go to your online banking login page. From there, you can simply log into your personal online banking system, after which you only need to confirm the payment. As soon as that has been done, you will be sent back to the online casino and the money should be in your account straight away. That’s it! Looking at the debit card systems, there are some minor flaws which can be pointed out. For example, your card may be skimmed, which would lead to someone else taking money from your account. But this has been pretty much taken care of since the EMV Chip Card technology was introduced. In terms of Interac Online, you can safely say that it is just as safe as any other online banking method. Because after you select this payment method, you will simply be forwarded to your personal bank, where you can log in securely, and only available funds will be taken from your account once you approve the payment. And because the transaction is made through Interac, the receiving party (which would be the online casino where you’re making your deposit) won’t get any unnecessary financial information whatsoever! That means you won’t be sharing a credit card number, your security code, your PIN number, or even your personal bank account number!